this weekend was certainly a blur of faces and places. 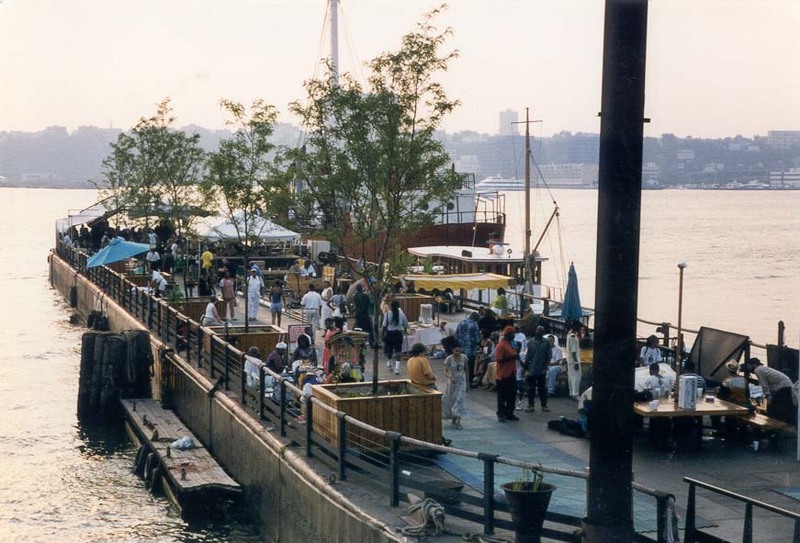 friday night's turntables on the hudson party was great! the weather was absolutely perfect, the river at night was beautiful, and the music was loud. although loud music doesn't generally make for a romantic setting, there's just something about being on the pier at night, watching the reflected lights glisten in the water. saturday night began with chugging a half pitcher of bass ale so that we could make it to our reservation at yakiniku west. buzzed, while at the restaurant, i had a crazy shochu and lemon soda drink -- soo good. then it was time to hookah-it-up at sahara east where more beer was consumed, and to top it off, the night ended at kenka, this absolutely kooky japanese restaurant... $1.50 beers! $8 pitchers! here's a new one... eyeglasses!